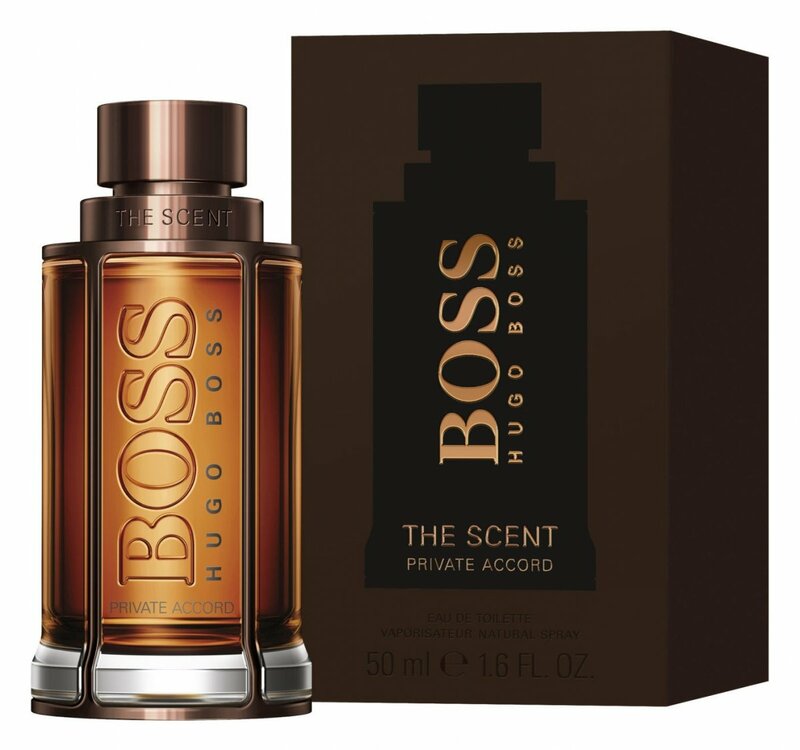 The Scent Private Accord is a new perfume by Hugo Boss for men and was released in 2018. The scent is sweet-gourmand. It is being marketed by Coty. As with various other perfumes, I received a rehearsal from Hugo Boss Private Accord and thought to myself: "Oh no, please don't have another The Scent", because I absolutely didn't like the normal The Scent and put the rehearsal aside for now. Later, however, I was curious and took the sample out again to test it... So I put a little drop of it on my hand, waited for a short while, smelled it and thought "hm, smells like the normal The Scent" and then paid no further attention to it. After about 30min I somehow smelled unintentionally on my hand and couldn't believe it, the dry-down started to please me and didn't smell like the classic The Scent anymore. After the initial typical The Scent scent (which I don't like), I now smelled a scent that wasn't so bad at all, a mixture of cocoa, coffee, very light vanilla and very light woody. I personally like/drink coffee and cocoa, so of course I like the smell of it. In my opinion Private Accord is a good office fragrance or for meetings, because it doesn't smell for miles and you don't get hit or bothered by a scent cloud. The fragrance is rather reserved, which I personally like. 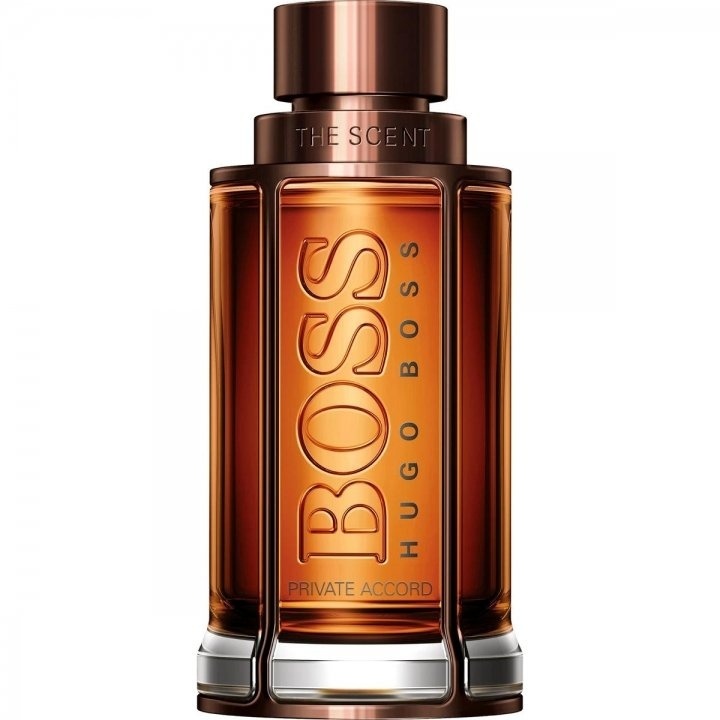 As I noticed, Hugo Boss Private Accord doesn't seem to be very popular here at Parfumo, but I don't give a damn about it, because reality looks different. Outside of Parfumo this perfume is not so unpopular at all, also abroad (e.g. USA) this perfume is not so unpopular at all. A glance at fragrantica.com or YouTube is enough. The best example is the normal The Scent, which isn't very popular here at Parfumo either (I don't like it either), but outside of Parfumo it's in the top 10 of the best selling fragrances. I suspect that we may see 2020 Private Accord also in the TOP 10. Sure there are better scents, but as miserable as it is stamped here, it is not at all. Would I buy myself Hugo Boss Private Accord? Maybe it is! About as Andi Möller once allegedly said, the star perfumers of Coty did it. The main thing is that the current competitors of Prada, Herrera, Guerlain, have scents that can be copied in the direction of Milan or Madrid. Apparently, this sweet and trendy smell of cocoa is a big hit, so it also has to get into the otherwise already extreme bestseller The Scent. Whether it fits or not, that's a minor matter. Simply important is that there is a surge of cocoa at the beginning so that you have to think in business how good it is. What comes after that doesn't matter. The people who buy this scent here? Probably ignorant materialists blinded by advertising, who have no idea what a fragrance must be like. When the cocoa is over, about ten minutes later, nothing will come. Some basic DNA from the original Scent with the Maninka fruit, which has also developed into an absolute top racer. According to Coty's latest competitive analysis, the other fragrance houses allegedly only make their products with maninka, no matter in the head, heart or base. Here the Coty wizards really have found almost the egg of Columbus. This in combination with the leathery and above all the everywhere fashionable cocoa, the saviour for the sales, which do not want to come lately with Coty simply so properly in motion. Inexplicable to this top guild of fragrance developers. Long live the average, long live the undemanding, long live the own lack of drive with bringing out such products which play with the drugstore scents in the same extremely demanding league. Woody, somewhat sweet but not gourmand.